Head to Obonjan, Croatia for a dose of idyllic island life with a twist as you wile seamlessly into hedonistic nights hosted by Triple Cooked - a creative collective of DJs, performers and artists. This 136 acre private island located in the acquamarine waters off the Adriatic coast is home to a revolving roster of arts, culture, wellness activities party for the entirety of summer. By day kayak, SUP board, jet ski, swim, find your balance in a yoga class, relax in the spa or sample three unique restaurants, serving everything from cocktails to 6 course meals. 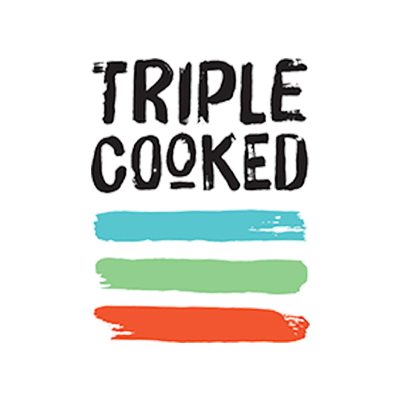 By night expect the weird and wonderful from Triple Cooked performances and collaborations from DJs and artists for a party that sees beats, art and culture collide to a House, Disco, Bass and UKG soundtrack. Welcome to Obonjan. Time to explore this beaut Mediterranean Island, your home for the week. Bring on the party vibes and dive straight into action at the Weird & Wonderful Forest party that will run until dawn. Rise to rebalancing morning yoga by the beach or the breakfast club on the harbour then take your time to explore before the 80s Club Tropicana Pool Party kicks off from 2pm with Maxi Soundsystem until sunset! Rise and shire for early morning swim club if you're keen on exploring the coves and crevices of this magic island. Then rest up until late afternoon, where you'll set sail on a disco-fueled boat party across the Croatian coastline. Docking up doesn't mean packing up. This party goes deep into the night. Chill in the morning because this afternoon the hilltop pool comes alive for a spectacular Summer Jamboree pool party. Camp in style in roomy bell tents and boutique forest lodges. Obonjan is its very own festival island dropped into the pristine waters of the adriatic, off the coast of Croatia. At the mid-point between Central and Southeast Europe, this is a 136-acre private playground of natural beauty and unspoiled views waiting to be explored. Sleep in nature as you rest your head in eco-friendly bell tents and boutique forest lodges designed to bring all the essential home comforts for the perfect island stay.